Pre-pro beer tray for the Ruff Brewing Company of Quincy, Illinois. 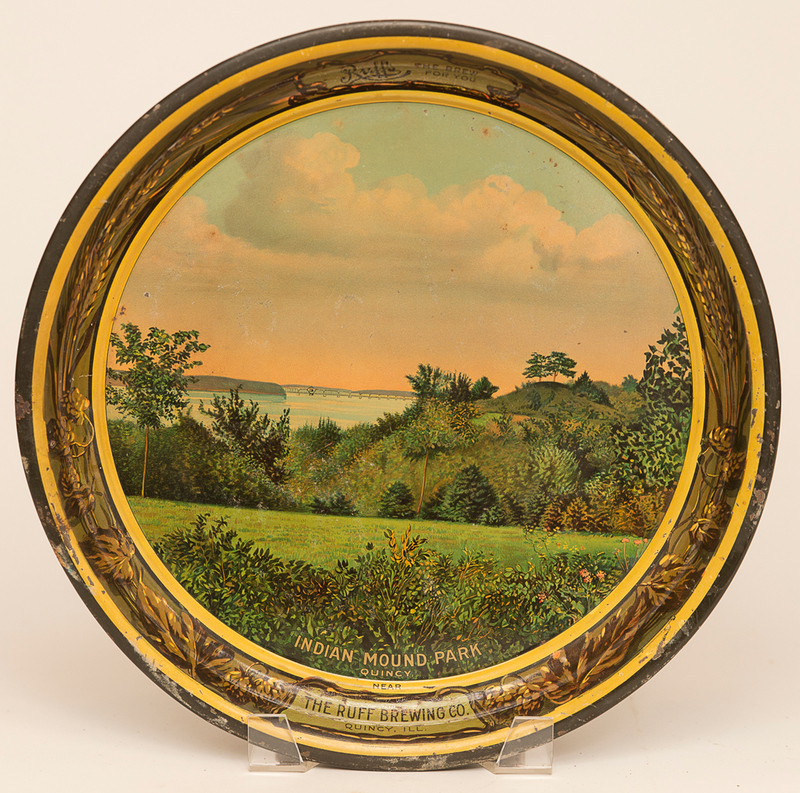 The tray features a scene of the Indian Mound Park. 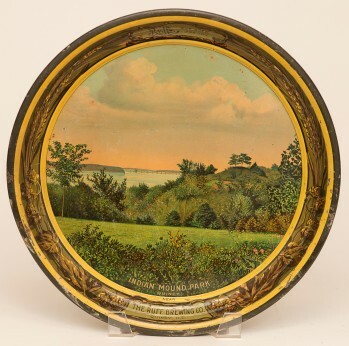 This tray has minor edge nicks but the field is clean with nice colors.